With technological advancement, electronic products start to become obsolete within a short period of time. Old and outdated gadgets often end up as waste. But the disposal of e-wastes into sanitary landfills is prohibited under Senate Bill No. 50 or the Waste Recycling Act of 2003 because of the health risks that it may cause. Ventura City is no stranger to technological advancement and the accumulation of e-wastes. This city located at the Los Angeles Metropolitan Area, is home of the Ventura IT, the oldest Information Technology and web design service provider in this part of the country. The city also created the Ventura Ventures Technology Center in 2009 to attract entrepreneur and help create local employment. But who will take care of the E-wastes that the city produces? 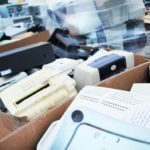 The Balboa Middle School Electronics Recycling Fundraiser is organizing a free electronics recycling collection event to help city residents dispose their wastes.